Three overarching themes emerge from a review of the hundreds of projects, built and unbuilt, that Saarinen produced over the eleven-year period of his architectural maturity. First, he was committed to the exploration of new building technologies and materials, and he searched constantly for ways to advance the art of architecture by producing innovative formal solutions that reflected scientific and chemical discoveries. Second, he treated every architectural commission as a separate artistic problem, and he sought to create an original, artistic expression of the functional complexities and cultural meanings of each one; this emphasis on communication (a priority for him that was equal to the need for formal discipline and quality in design) required Saarinen to delve into popular and commercial imagery with an openmindedness and enthusiasm that few, if any, elite modern designers could — or wanted to — match. Third, Saarinen clearly imagined his buildings as inhabited and animated spaces, and he thus focused on circulation, framing, and the sensual experiences of clients. He cared deeply about the spiritual and psychological effects of his architecture, and he wanted users of his buildings and furniture to look as good as they felt. In this respect, as in all of the above qualities, he seems to be the consummate American modernist, an architect who saw himself as a creator of glamorous, exciting buildings in which contemporary business transactions and the experiences of everyday life would become ever more brilliant and beautiful. Professional jealousies are only part of the story of Saarinen’s complex relationship with the modern movement. More significant are the fundamental differences that separate his theories from those of the Bauhaus architects or the International Style exemplars whose principles had been summarized by Hitchcock and Johnson in 1932. “Classic” architectural modernism was a product of radical artistic and social reform theories: it rested on the notion (perhaps exaggerated in American schools of architecture where the teachings of Walter Gropius and Mies van der Rohe had been reduced to formulas) that industrial materials such as steel and glass and the techniques of mass production naturally lent themselves to the logic of functional design, yielding uniform, boxlike buildings with transparent curtain walls that remained neutral and timeless regardless of the specific character of the time, place, or program that they were called upon to serve. 8 The implications of these modernist principles were far-reaching and challenged many of traditional architecture’s assumptions, among them the authority of the past over the present; the intimate relationship between artistic fashion, material wealth, and class status; and, perhaps most important, the widely held notion that function was secondary to — or at the very most equal in importance with — stylistic and artistic expression. In Saarinen’s view, modern architecture could be made to achieve a far wider range of expressive and spiritual goals than had been supposed in the early years of the modern movement, and it would do so through the reintroduction of customized design. Thus, as he noted in numerous articles and speeches, each project would be approached as a new beginning in which the particulars of time, site, context, audience, and materials were carefully studied until an original solution was discovered by the architect or artist. While this approach was clearly attractive to clients who readily recognized the metaphorical images and historical resonances that Saarinen brought to their projects, there can be no doubt that it also profoundly undermined many of modern architecture’s most cherished principles, notably the idea that functional design could obviate the inevitable obsolescence of changing fashions; in the view of many modernists, such unique design solutions were inherently time-limited and flawed. Clearly, although a number of architectural theorists had addressed themselves to the problem of “monumentality” and the expression of cultural values since the mid-1940s, many felt that Saarinen’s approach was simply not acceptable: his buildings were too mimetic (the forms he chose were often deemed to be too literal) or too closely tied to historical precedents, the inevitable result, it was felt, of the notion that each project demanded a unique, artistic solution that could be “read” and understood by a broad audience. Moreover, though modern architecture’s relationship to artistic fashion and bourgeois consumerism had always been complex and ambivalent — one thinks, for example, of the coexistence of “object types” and mass-produced houses with the modern palaces designed by Le Corbusier for American clients in the 1920s — these contradictions had flown more or less under the critical radar until the postwar period, when they were abruptly brought to the surface in the American buildings of men like Saarinen, Neutra, Johnson, and others. Were that not enough, Saarinen in particular celebrated this new American synthesis, grandly asserting that it was through such projects as his designs for General Motors and other institutional clients that modern architecture would finally achieve the status it deserved, comparable with the great works of the past. With the combined forces of cultural, spiritual, and technological progress all brought to bear on the problem, American architecture could, Saarinen predicted, someday assume its rightful place in history: it is only “logical,” he wrote, “to assume that, with the maturing of our civilization and the resulting respect for cultural, nonmaterialistic aims, spiritual values will flourish. They will catch up to the physical advances. Our architecture will then have the balance necessary for its flowering and some day will take an important place in history with the Greek, the Gothic, and the Renaissance.” 9 Such claims struck many as hubris, especially given their author’s apparent readiness to return to the outmoded values and social inequities that might well be the cost of such greatness. Such responses to Saarinen’s work suggest that his buildings merit renewed historical interest and a fresh examination, especially in light of recent studies of American consumer culture and its relationship to the Cold War. Though the critics tied themselves in knots trying to denounce his architecture, his ambitions and ideals fit squarely with the goals of many of his contemporaries: many Americans no doubt agreed with Henry Luce, publisher of Life magazine, that the twentieth century was truly the “American Century,” and that the country was the “intellectual, scientific, and artistic capital of the world”; many shared the view that each of its citizens had responsibility to strive not only for freedom at home and abroad, but also for “excellence and world leadership.” 14 For corporate America and for many in the universities, this was especially true: with business expanding and new markets opening up, these clients were comfortable not only with Saarinen’s unapologetic ambition but also with his view that modernism’s next great phase had now been placed in their own American hands. They welcomed him into their boardrooms and executive dining rooms, and they listened attentively to his presentations, placing enormous resources of money, labor, and time at his disposal. 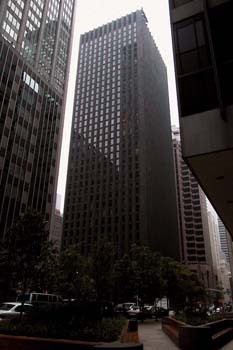 15 He was the go-to modernist of the postwar building boom, and he invented a versatile new style to meet their needs. When the complex opened to the public, Life magazine ran an article describing it as the “Versailles of Industry.” The phrase was picked up by a number of journalists, perhaps as a result of suggestions by the publicity department. 17 Whatever the source, the catchphrase vividly communicated the company’s aristocratic self-image, and it underlined the message that, in democratic America, even company executives, and certainly the buyers of luxury GM cars, could live, work, and feel like royalty. One writer even went so far as to remark that the huge columnar exhaust vents of the Dynamometer Building were “as monumental as the stone pylons in Egyptian hypostyle halls of 1300 BC.” 18 Such comparisons were no doubt pleasing to both architect and client: although the GMTC was intended as a place in which “Today Meets Tomorrow,” and the company as a whole kept its focus firmly on creating both the products and the profits of the future, it was also significant that the architecture of the complex could hold its own with the great traditions of the past. 19 . .. In the design of Saarinen’s TWA terminal at Idlewild Airport (now John F. Kennedy International Airport) in New York, which opened in May 1962, eight months after his death, the architect once again explored new technologies and building materials with the goal of creating expressive artistic forms and spaces. 25 Here, after almost ten years of successful experience as an independent professional, and with far greater latitude for experimenting with his father’s creative legacy, Saarinen was free to produce an innovative building that was as controversial as it was original. With its swooping concrete curves, outspread wings, and beaklike prow, the terminal immediately reminded many observers of a bird in flight; though most critics clearly admired the engineering and design skill that stood behind such a project — to say nothing of the teamwork that was needed for such a complex project on the cutting edge of the emerging science of mass aviation travel — the consequences of constructing such a readily identifiable metaphor were, in some quarters at least, predictably severe. 26 Indeed, the unusual building, which had been under development for some five years before it was completed and thus became known to both popular and professional audiences, emerged as something of a lightning rod for contemporary tensions, only some of which had to do with architecture. Drawing on a body of engineering knowledge related to the construction of thin shell concrete structures — as well as on a handful of precedents that included both Matthew Nowicki’s remarkable Livestock Judging Pavilion in North Carolina, 1952, and his own Kresge Auditorium at mit of 1956, as well as Pier Luigi Nervi’s Turin Exhibition Building (1949) and his Palazzetto dello Sport in Rome (1957) — Saarinen and his team experimented with a variety of shapes, testing them in models and mockups both for their structural integrity and their expressive potential. 29 He seems also to have drawn from his experience at General Motors, adapting the famous “gull wing” silhouette of the rear and tail fins of the 1959 Chevy Impala to his present task. The result was a building that was far more ambitious and memorable than contemporary examples such as Hellmuth, Yamasaki and Leinweber’s Lambert St. Louis Airport Building of 1951–61, to which it was often compared, or the other airline terminals at Idlewild then under construction. Although he did not live to see his creation in use, the architect was a frequent presence on the construction site and reacted with excitement as his building took shape. His comments about its monumental forms are especially revealing: “TWA is beginning to look marvelous,” he wrote to his wife just before his death. “If anything happened, and they had to stop work right now and leave it in this state, I think it would make a beautiful ruin, like the Baths of Caracalla.” 32 These historical resonances were clearly important for the building’s success, but so too were the public’s less erudite responses, and Saarinen was philosophical about those, too: “To some people it looked like a bird in flight,” he explained, “but this was really coincidental … the last thing we ever thought about.” “Nevertheless,” he noted, “that doesn’t mean that one doesn’t have the right to see it that way or to explain it to laymen in those terms.” 33 Such statements no doubt endeared him to clients, who were impressed by his artistry and sophistication but happy to discover that he was a man they could talk to without embarrassment. From the early 1960s until the current revival of popular appreciation and scholarly interest in Saarinen’s architecture, his reputation, and the fate of many of his most significant projects, hung in the balance with little hope of recognition or respect. In the immediate aftermath, only Banham, the sharp-eyed observer who had been among his most persistent critics throughout the years, ventured a guess at the meaning of his ambivalent status, wondering aloud whether the bitter criticism that had greeted his proposals didn’t “reveal a streak of spitefulness” in his detractors: “He died the darling of organization America, capable of bringing architecture’s artful aid to any company image he could believe in,” Banham explained; this had obviously been enough to put him in bad repute with progressive and intellectual observers. 45 His glamorous American modernism, his accommodations of capitalism and its goals, his wife Aline and her commitment to “public relations” — to say nothing of his uncanny success at winning competitions — all of these were held against him. Was that really “the trouble with Eero?” as Banham had asked in an article with that title. The answer for Banham, as for many present-day observers, was surely no. The “trouble with Eero,” Banham concluded, is “he’s such a damned good architect.” 46 With the passage of nearly a half-century since his death, and the brilliant restoration of many of his most extraordinary buildings, it is now clear that most observers, if not yet all, are inclined to agree. Excerpted from American Glamour and the Evolution of Modern Architecture, by Alice T. Friedman. Reproduced by permission of the author and Yale University Press. For an overview of Saarinen’s career, see Jayne Merkel, Eero Saarinen (New York: Phaidon, 2005); and Peter Papademetriou, “Coming of Age: Eero Saarinen and Modern Architecture,” Perspecta 21 (1984): 116–43. The development of Saarinen’s corporate aesthetic is charted by Nancy A. Miller, “Eero Saarinen on the Frontier of the Future: Building Corporate Image in the American Suburban Landscape,” Ph.D. diss., University of Pennsylvania, 1999. The definitive study of Saarinen, and the most comprehensive catalogue of his work, is Eeva-Liisa Pelkonen and Donald Albrecht, eds., Eero Saarinen: Shaping the Future (New Haven: Yale University Press, 2006). For Saarinen’s clients, see Donald Albrecht, “The Clients and Their Architect,” in Pelkonen and Albrecht, Saarinen, 45–55. For the Jefferson Memorial Arch, see Hélène Lipstadt, “The Gateway Arch: Designing American’s First Modern Monument,” in Pelkonen and Albrecht, Saarinen, 222–29. Time, July 2, 1956, 50–57. Aline Saarinen, ed., Eero Saarinen: On His Work. A Selection of Buildings Dating from 1947 to 1964 (New Haven: Yale University Press, 1962), 10. For the notion of architecture as a “family of forms,” see Saarinen, On His Work, 60. Aline Saarinen, “Eero Saarinen, Architect,” undated ms. (1960s), Aline Saarinen Professional Papers, Archives of American Art, Smithsonian Institution, Washington, D. C., Box 5, Folders 6, 8. Philip Johnson, “Retreat from the International Style to the Present Scene” (lecture at Yale, May 1958), in Philip Johnson: Writings, foreword by Vincent Scully, introduction by Peter Eisenman, commentary by Robert A. M. Stern (New York: Oxford University Press, 1979), 84–97 (quote on 95). See, for example, Walter Gropius, The New Architecture and the Bauhaus (London: Faber and Faber, 1935) and The Scope of Total Architecture (New York: Harper, 1955). Vance Packard, The Hidden Persuaders (New York: D. McKay, 1957). For a further exploration of these fears and their effect on modern design, see Kathleen James-Chakraborty, “The Drama of Illumination: Visions of Community from Wilhelmine to Nazi Germany,” in Richard Etlin, ed., Art, Culture, and Media Under the Third Reich (Chicago: University of Chicago Press, 2002), 181–201. Eric Larrabee, “Autos and Americans: The Great Love Affair,” Industrial Design 2, no. 5 (October 1955): 34–63. Reyner Banham, “Fear of Eero’s Mana,” Arts Magazine 36 (February 1962): 70–73 (quotes on 73). Vincent J. Scully, American Architecture and Urbanism (New York: Praeger, 1969), 186, 194, 196. Henry R. Luce, “The American Century,” Life, February 17, 1941, 61–65. In a letter written by Harley Earl to Walter McQuade, editor of Architectural Forum, after Eero’s death, he noted that the Saarinens “seemed to grasp what we were driving at and fill in the loop holes and the odd places we couldn’t put our hand on or complete.” Eero Saarinen Collection, Manuscripts and Archives, Yale University Library, Series IV, Box 57, n.d.
For the history of this project, see Merkel, Saarinen, 69–81; and Rosamond Fletcher, “The General Motors Technical Center,” in Pelkonen and Albrecht, Saarinen, 230–35. Life, May 21, 1956, 96–97, 102–7. See also ‘GM’s Industrial Versailles,” Architectural Forum, May 1956, 122–27. The phrase “campus-like” was often used in GM’s publicity literature: see GM Public Relations Department, Where Today Meets Tomorrow: General Motors Technical Center (Detroit: GM Publications, 1956). “General Motors Technical Center,” Architectural Forum, November 1951, 111–23 (quote on 112). As Charles F. Kettering, inventor of many of General Motors’ most forward-looking technologies was fond of saying, “All of us should be interested in the future because that is where we are going to spend the rest of our lives.” Quoted by Harlow Curtice, president of GM, in the introduction to Where Today Meets Tomorrow, n.p. Alfred P. Sloan, My Years with General Motors, ed. John Macdonald and Catharine Stevens (1963; New York: Doubleday, 1990), chap. 15. Earl’s work at the Styling Section was first described by Jane Fiske Mitarachi, “Harley Earl and His Product: The Styling Section,” Industrial Design 5, no. 5 (October 1955): 50–60. See also Stephen Bayley, Harley Earl and the Dream Machine (New York: Knopf, 1983); and David Gartman, “Harley Earl and the Art Color Section: The Birth of Styling at General Motors,” Design Issues 10, no. 2 (Summer 1994): 3–26. The best overview of Earl’s career and car designs is www.carofthecentury.com. “What’s Good Enough for General Motors: Interiors of the Styling Building in GM’s Technical Center,” Interiors, January 1957, 80–89. The project was first published in 1957: “Saarinen Designs Terminal for TWA,” Progressive Architecture 38 (December 1957): 66–67. For the history of the project, see Susanna Santala, “Airports: Building for the Jet Age,” and Isenstadt, “Theater of Form,” both in Pelkonen and Albrecht, Saarinen, 300–307, 98–115. On airports and the history of the airlines, see John Zukowsky, ed., Building for Air Travel: Architecture and Design for Commercial Aviation (Munich: Prestel, 1996); Hugh Pearman, Airports: A Century of Architecture (New York: Abrams, 2004); Keith Lovegrove, Airline: Identity, Design and Culture (New York: teNeues, 2000). For a further exploration of this issue in Saarinen’s work, see Eeva-Liisa Pelkonen, “The Search for [communicative] Form,” in Pelkonen and Albrecht, Saarinen, 82–97. “I Want to Catch the Excitement of the Trip,” Architectural Forum, July 1962, 72–79. 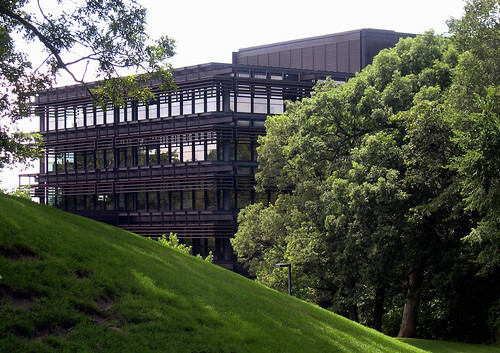 Nowicki was a Polish-American architect admired by Saarinen. In a letter to his future wife, Aline, who was then at work on her New York Times article about him, Saarinen listed Nowicki, along with his father, Mies, and Charles Eames, among others, as the principal influences on his work (AAA, Eero Saarinen Aline Louchheim, n.d. [April 1953? ]; Box 2, Folder 26). Working as an assistant to Le Corbusier, Nowicki died in a plane crash on his way to Chandigarh in 1951; his papers are held in the archives of North Carolina State University, Raleigh. See Lewis Mumford, “The Life, the Teaching, and the Architecture of Matthew Nowicki,” Architectural Record, June 1954, 139–49. 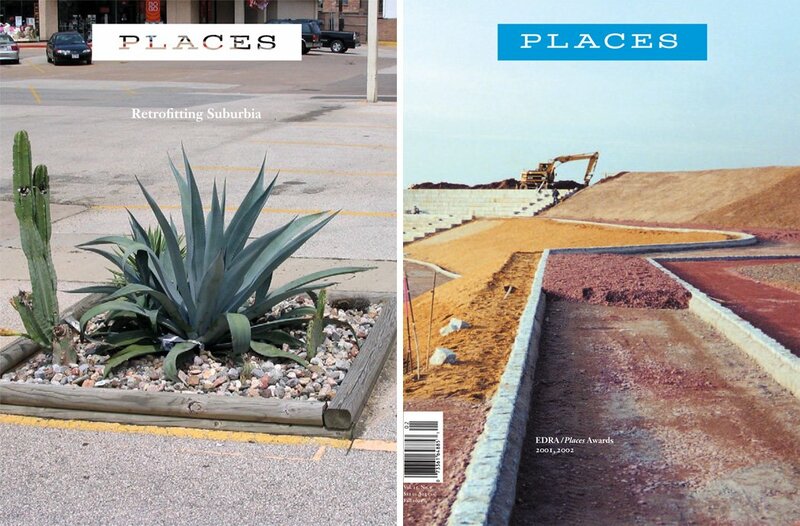 Series continues with parts 3–4 in July, August, and September issues. Edgar Kaufmann, “Inside Eero Saarinen’s TWA Building,” Interiors 121, no. 12 (July 1962): 86–93 (quotes on 87, 92). Karen van Lengen and Lisa Reilly, Vassar College, an Architectural Tour (New York: Princeton Architectural Press, 2004). From a letter dated April 17, 1961, quoted in Saarinen, On His Work, 60. Alan Colquhoun, “TWA Terminal Building, Idlewild, New York,” Architectural Design 32, no. 10 (October 1962): 465. For a more recent and balanced analysis of the building in its historical context, see “Pax Americana: Architecture in America, 1945–65,” in Alan Colquhoun, Modern Architecture (New York: Oxford University Press, 2002), chap. 11. Colquhoun, “TWA Terminal Building,” 465. Daniel J. Boorstin, “From Traveler to Tourist: The Lost Art of Travel,” in The Image: Or What Happened to the American Dream (New York: Athenaeum, 1962), 79. See William J. Lederer and Eugene Burdick, The Ugly American (New York: W. W. Norton, 1958); a film starring Marlon Brando was produced in 1962. On this subject, see also Christopher Endy, Cold War Holidays: American Tourism in France (Chapel Hill: University of North Carolina Press, 2004). The proliferation of Hilton hotels in foreign locations is discussed in Annabel Jane Wharton, Building the Cold War: Hilton International Hotels and Modern Architecture (Chicago: University of Chicago Press, 2001). Eric Larrabee, “After Abundance What?” Horizon 2, no. 6 (July 1960): 65–72. “Four New Buildings: Architecture and Imagery,” Bulletin of the Museum of Modern Art 26, no. 2 (1959). Ada Louise Huxtable, “Four Model Buildings Under Museum Review: Experimental Styles in Architecture at the Museum of Modern Art,” New York Times, February 15, 1959, 17. For further information on these projects, see Frederick Kiesler et al., Endless House (Ostfildern-Ruit: Hatje Cantz, 2003); Le Poème électronique de Le Corbusier (Paris: Editions de Minuit, 1958); Marc Treib, Space Calculated in Seconds: The Philips Pavilion, Le Corbusier, Edgar Varese (Princeton, N.J.: Princeton University Press, 1996); and Alan Hess, Googie: Fifties Coffee Shop Architecture (San Francisco: Chronicle, 1986). For Paul Williams, see Karen E. Hudson, Paul R. Williams: A Legacy of Style (New York: Rizzoli, 2000); for William Pereira, see James Steele, ed., William Pereira (Los Angeles: University of Southern California/Guild Architectural Press, 2003). Reyner Banham, “Monument with Frills,” New Statesman 60, no. 10 (December 1960): 918. For the history of the building in the context of government patronage, see Jane C. Loeffler, The Architecture of Diplomacy: Building America’s Embassies (New York: Princeton Architectural Press, 1998), 197–209. Peter Smithson et al., “Controversial Building in London,” Architectural Forum, March 1961, 80–85. “The Trouble with Eero,” New Statesman 64, no. 23 (November 1962): 745–46. Surveying the work of Kevin Roche, our reviewer finds much to admire in a long career that has lately been overlooked. Selections from “Marcel Breuer and Postwar America,” an exhibition at the Syracuse School of Architecture. great article. a revelation that such petty criticism existed then as it does now. Great writing on a complex subject. 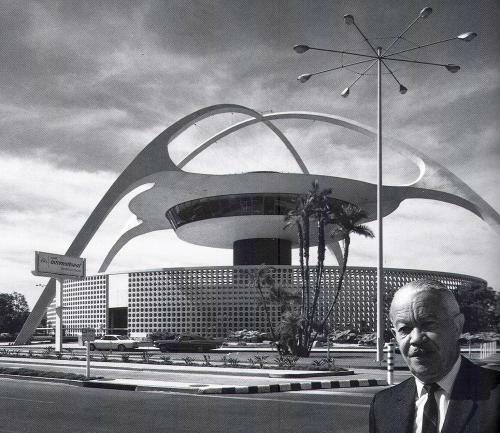 What seems amazing is that none of the critics at the time recognized that Saarinen utilized much of that corporate money to produce art; while it served their purposes it also luckily allowed dazzling and intriguing assemblages that would not have happened any other way. It occurs to me that a similar alignment is happening in Japan now, where it seems normal to commission a house design from architects who would be considered radical in the United States. Perhaps a reflection of a loss of an American vision of the future that the dominant commissioned style in the US seems to be a modified twenties long island shingle style house. One figure missing from the discussion here (though likely in Alice Friedman's book) is Marcel Breuer, who bridges the generation and nationality gap between the "classic" modernists, of the Bauhaus and elsewhere, and American students like Johnson, Rudolph, Noyes--all of whom he taught at Harvard, and all of whom worked happily for corporations like IBM alongside Saarinen. Breuer was one of the first architects to embark on a multi-building corporate architecture project after the war, for Torrington (later Toren) Manufacturing, based in CT, which also used Lester Beall for their extensive identity work. He built Pirelli's iconic, and possibly gimmicky, tower in New Haven. A propos of Beall, it also seems important to note how often Saarinen worked alongside graphic designers in creating a new image for some old American companies. Most of his clients were remaking all parts of their visual identities at once, with the architecture at the leading edge of the free publicity. Alice T. Friedman is the Grace Slack McNeil Professor of the History of American Art and Director of the McNeil Program for Studies in American Art at Wellesley College.